Buildings and windows kill 25 million to 600 million birds each year, one expert said. And in D.C., volunteers with City Wildlife’s “Lights Out” program are working to reduce fatalities. WASHINGTON — It was like something out of a movie. The carcasses of hundreds of songbirds appeared at the base of a 23-story building in Galveston, Texas. Local animal-control officials and experts in bird migration say two things were likely in play: the light pollution from mid- to high-rise buildings that disorients and sends birds crashing into the buildings; and a storm with high winds that buffeted the birds, accelerating the force with which they hit the building. It’s not a problem restricted to Texas. The issue is global, explained Peter Marra, director of the Smithsonian Migratory Bird Center. “Estimates that we have done show that buildings, and windows in general, kill between 25 million and 600 million birds a year,” Marra said. As migratory birds make their way from South and Central America to North America, he explained, they fly through the night. “They’re looking to find stars or light, and they see light coming from a building, and they head toward the building” — often slamming into the windows. In D.C., volunteers with City Wildlife’s “Lights Out” program are up with the birds, going out at 5:30 a.m. to walk designated routes and document the number of bird strikes in a predetermined area. The idea is to generate data and work with communities to come up with ways to reduce the fatalities. And it’s not just good for birds. “It’s good for saving energy,” Marra said. It’s important, Marra said, to make changes to benefit the birds. 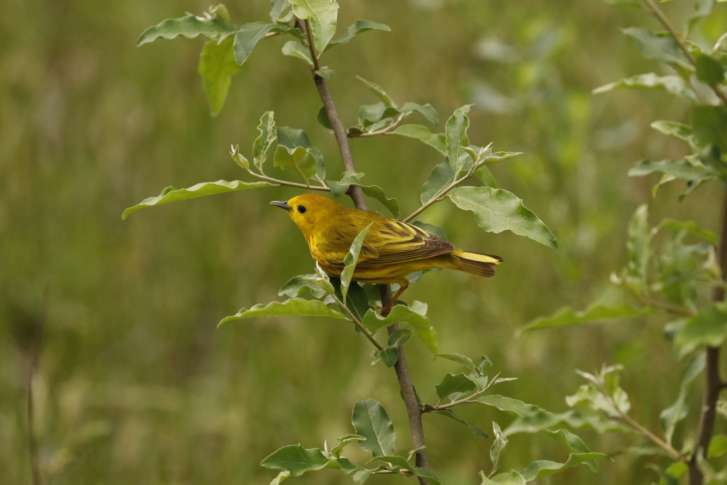 In the Texas incident, warblers — a number of different types — made up the bulk of the dead birds recovered.